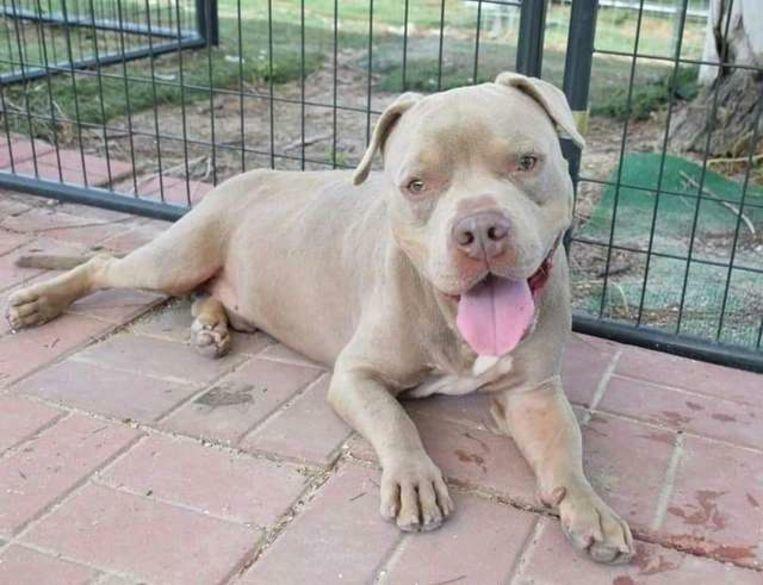 Dice was locked in a cage and left behind by his owners. 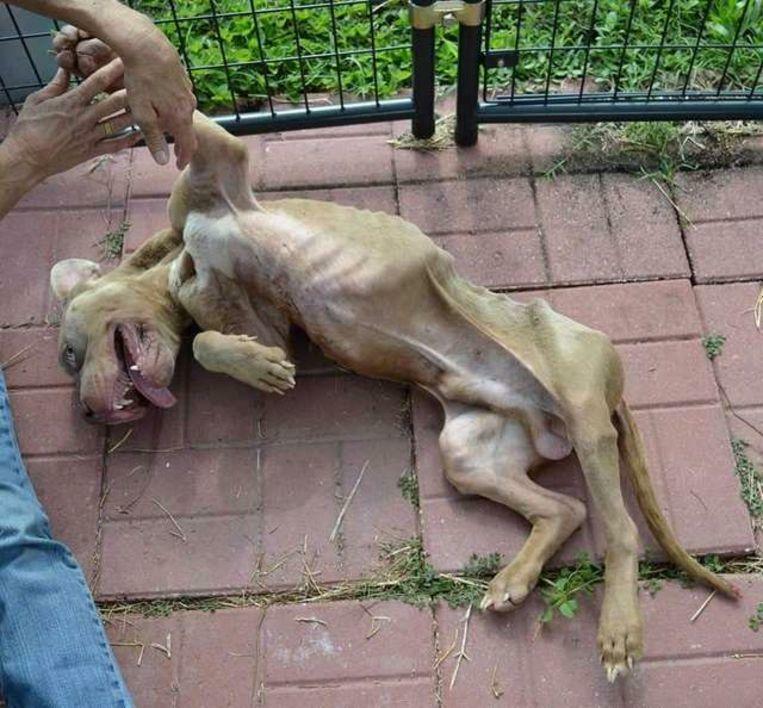 If no one had discovered the three-year-old dog, he would have died of hunger and thirst. But fortunately, he was found just in time. And so, Dice could strengthen himself again to a beautiful, healthy four-legged friend. This is the heart-warming story of a great transformation. 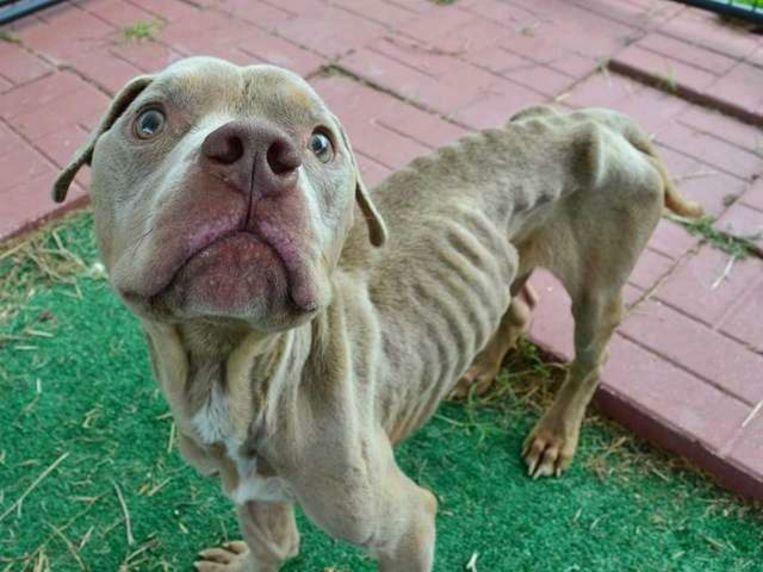 Early November, some children alerted the police after finding an emaciated dog in a cage in the garden of an abandoned house in Fort Lauderdale, Florida. “When the tenants moved out of the house, they left the dog in the garden without food or water,” Tracey Godin told the local animal rescue centre. Some residents suspected that the four-legged friend was already there for a week alone. But perhaps Dice has been neglected for much longer. “He was rumpled, had no muscles, and probably had nothing fancy to eat for months,” Godin said. In December he was ready to be adopted. A family that already had two dogs, Dice wanted to join. “From the first meeting they loved him.” Moreover, it turned out to be very good to click with the two children and the other dogs of the family. 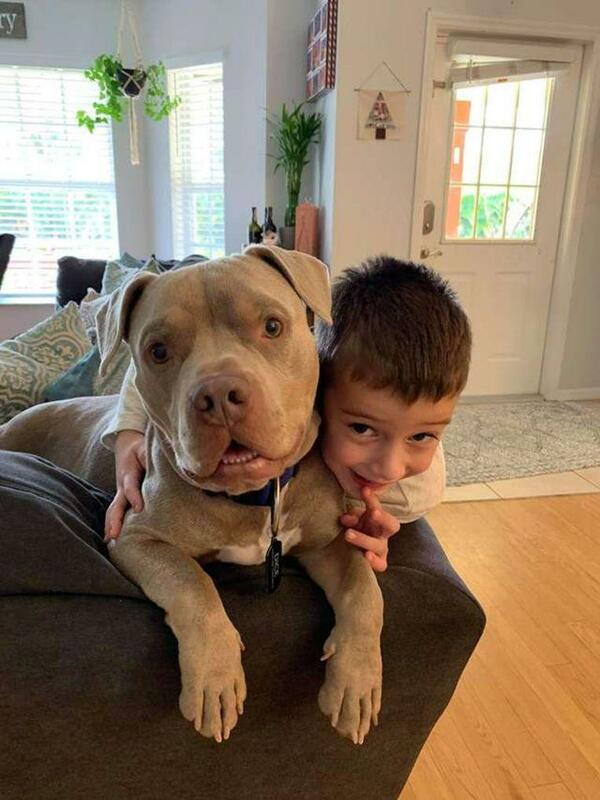 ©Feeling Fine Rescue – Dice is now surrounded with love.